Tyler Pipe & Coupling Celebrates VPP Star Recertification | McWane, Inc.
Posted on December 1, 2014, in Achievements, Company Advances and tagged luncheon, McWane, Texas, Tyler Pipe & Coupling, VPP, VPP Star Re-certification. Bookmark the permalink. 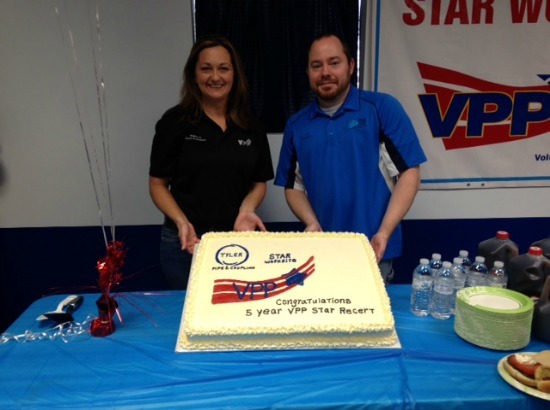 Comments Off on Tyler Pipe & Coupling Celebrates VPP Star Recertification.